Paranormal Romance and More: Interview & Giveaway with Dale Mayer, author of Maddy's Floor! 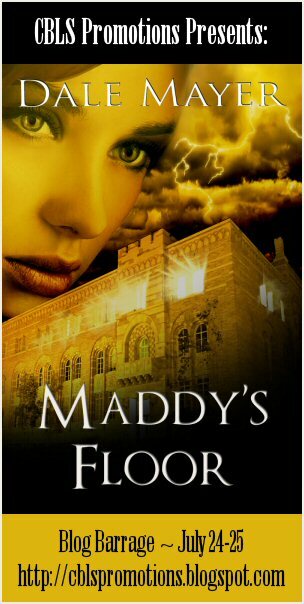 Interview & Giveaway with Dale Mayer, author of Maddy's Floor! Holly: Hi Dale! Would you tell us a little bit about yourself? Dale Mayer: Hi everyone! It's great to be here. Maddy's Floor is the long awaited 3rd book of my Psychic Vision series. It's a wild ride from the beginning to the end and will stretch your concept of medicine and reality from the first page. Dale Mayer: Neither! It's usually a scene that drifts through my mind. Then I slowly understand the characters and what happens to them. Holly: Where can we purchase Maddy's Floor? Dale Mayer: This book is currently available on Amazon.com here - http://amzn.com/B007SOKV32. It will be available on the other outlets in September. Dale Mayer: I currently write in many genres. I always said I'd never write a vampire book and blew that out of the water with my Family Blood Series! So I never say never to any genre. 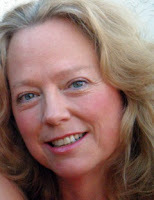 Dale Mayer: The words flow outward easily, but revising them into a great story – now that's my challenge. Dale Mayer: Oh that would be tough. I have 3 series on the go, each with such different settings, it would be hard to choose. Maybe the Psychic Vision series. I'd love to have some awesome psychic abilities of my own! Holly: If you are self-published, why did you decide to take this route of publishing? I've always been a person who was willing to try new things. 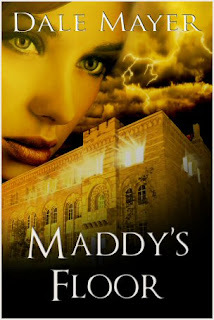 Dale Mayer: Self publishing offered me a chance to reach my readers directly. And I love it! Dale Mayer: The creative act of getting the first words down. Dale Mayer: I don't hate it because it an inspiring process to improve my work, but it doesn't come naturally to me! Dale Mayer: Supernatural all the way! Dale Mayer: I have to make a choice? All chocolate!